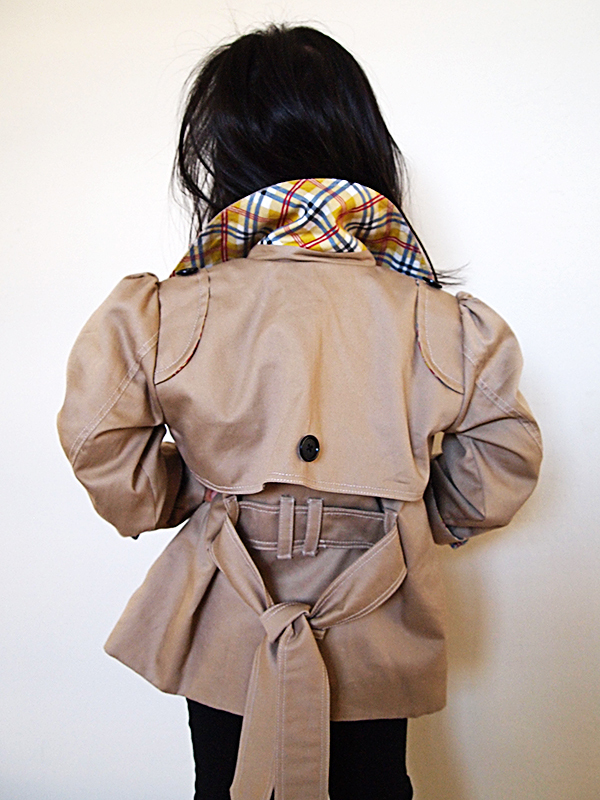 Anyhoo, I saw this Burberry coat on Pinterest recently and it reminded me of when I used to obsess over clothing in magazines. Now that my daily destinations include the playground, Trader Joe’s and Target, I am more interested in what Froo & Boo are wearing and making clothing for them. I still love clothes, but I am happiest wearing a pair of jeans and my TOMS. 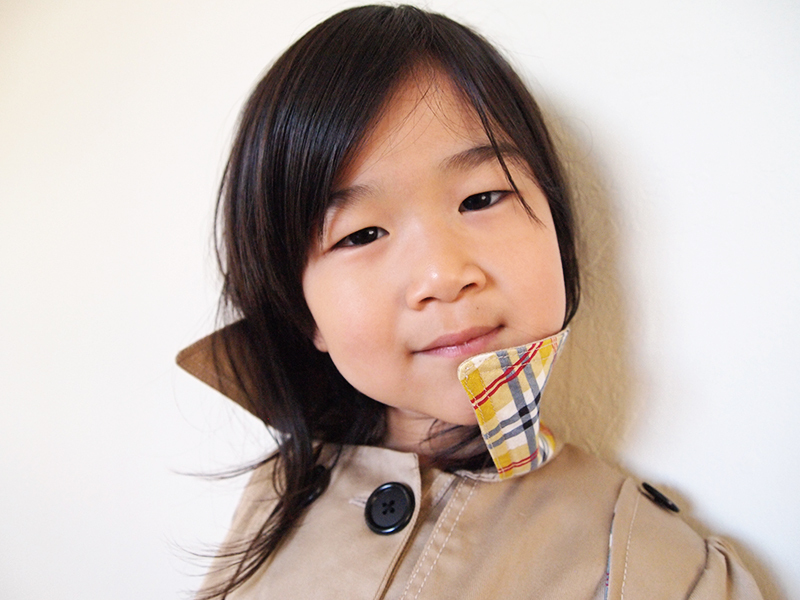 Then I started to obsess over the idea of making the Burberry coat for Froo. 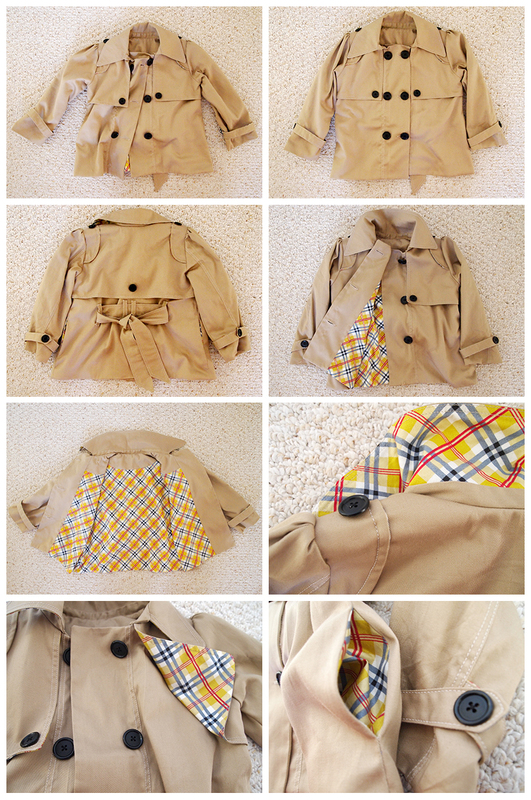 I found this pattern on Etsy and started my journey with the intention of making the cutest coat ever. The e-pattern is from The Lily Bird Studio; it is very detailed and well put-together. The pieces generally fit perfectly and the instructions are well-written. I have only started using e-patterns over the past couple of years and although it takes a long time to print, tape together, trace and cut the pattern pieces, the trade-off is worth the effort: you get step-by-step instructions with colour photos to guide you through the entire process. Awesome. This was definitely a time-consuming project. There are a lot of pieces, the coat is fully lined and there are 2 rows of top-stitching that required a thread change throughout the project. 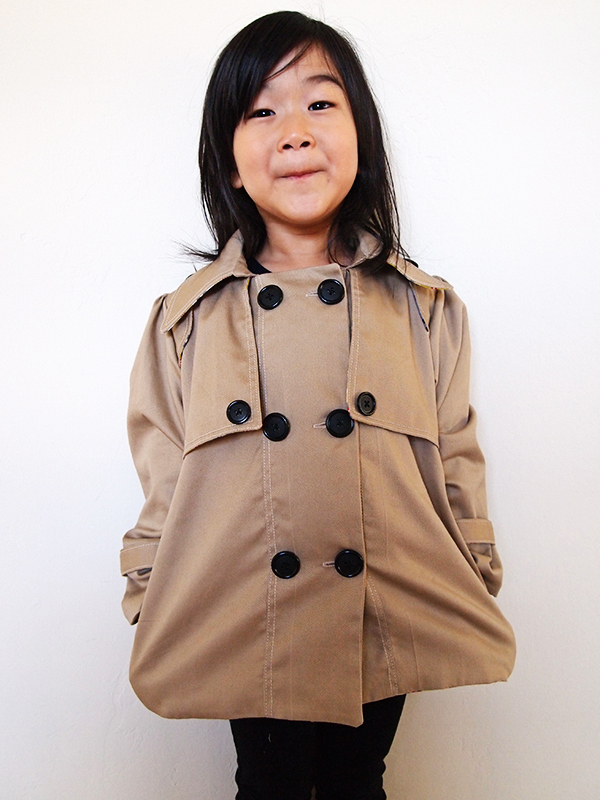 I took some photos of Froo this morning and seeing her in the coat, I think it was a worthwhile venture. 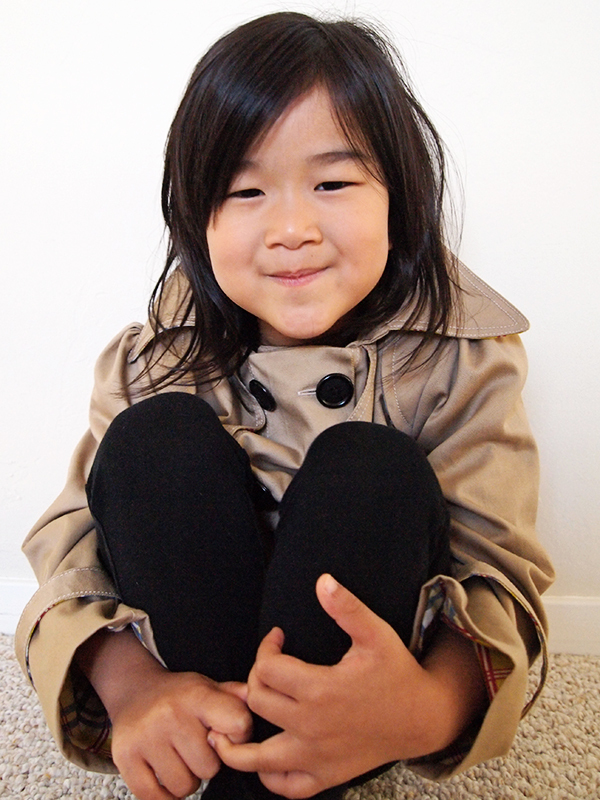 I made the coat in size 5, even though she is several weeks from turning 4 because she is a tall girl. I asked her to pose and this was her first shot. 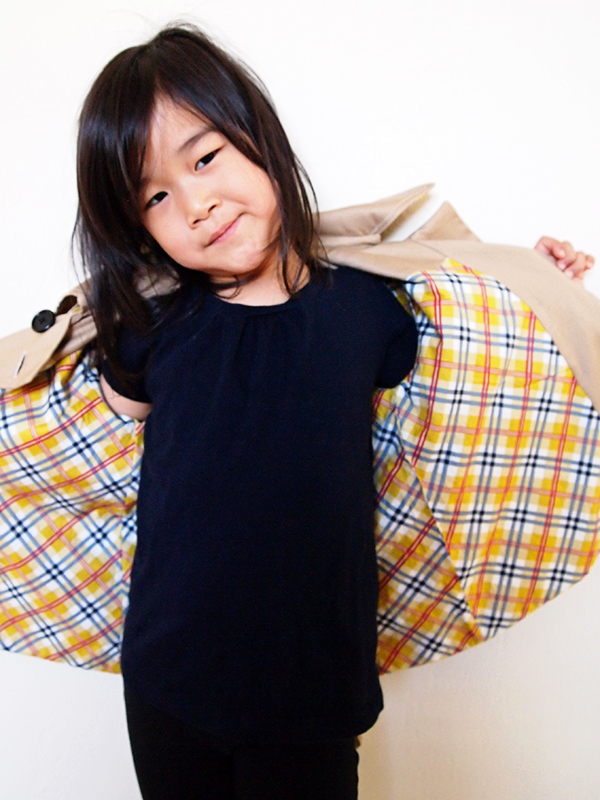 I added pockets using this tutorial because Froo’s hands are always getting cold. View of the back. 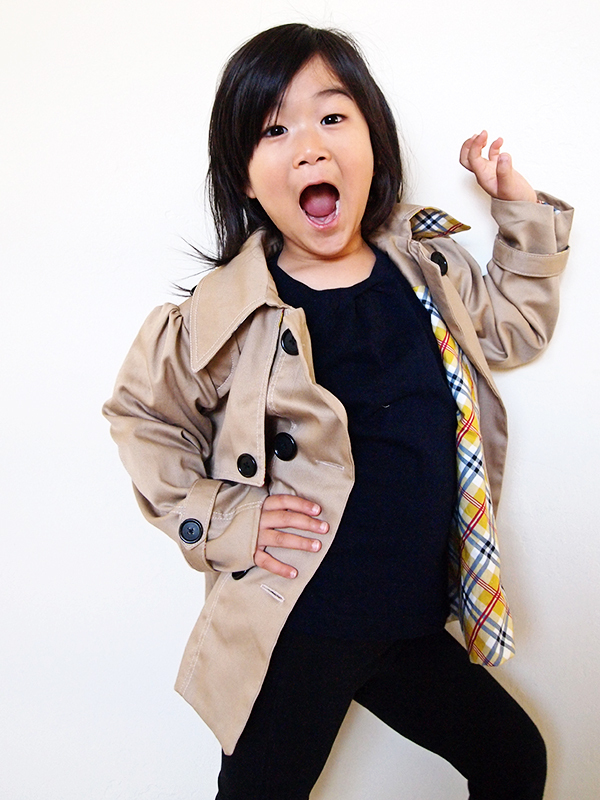 I added belt loops and a tie to resemble the Burberry trench coat. I think it increases the cute factor of the coat. 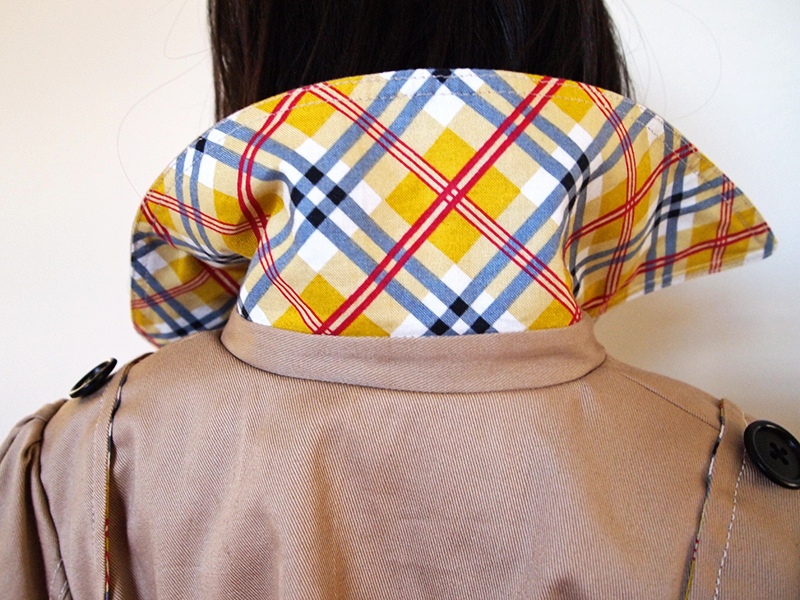 I used the lining fabric to add contrast to the collar. The fabric is called “Aunt Edna” from the Denyse Schmidt collection for Jo-Ann. I love how the plaid is printed on the diagonal to give it more interest. The outer fabric is a 100% cotton for making pants (not sure what the technical name is). Here is the picture of the collar “popped-up”. You can see glimpses of the lining here and there. And a whole lot of plaid! 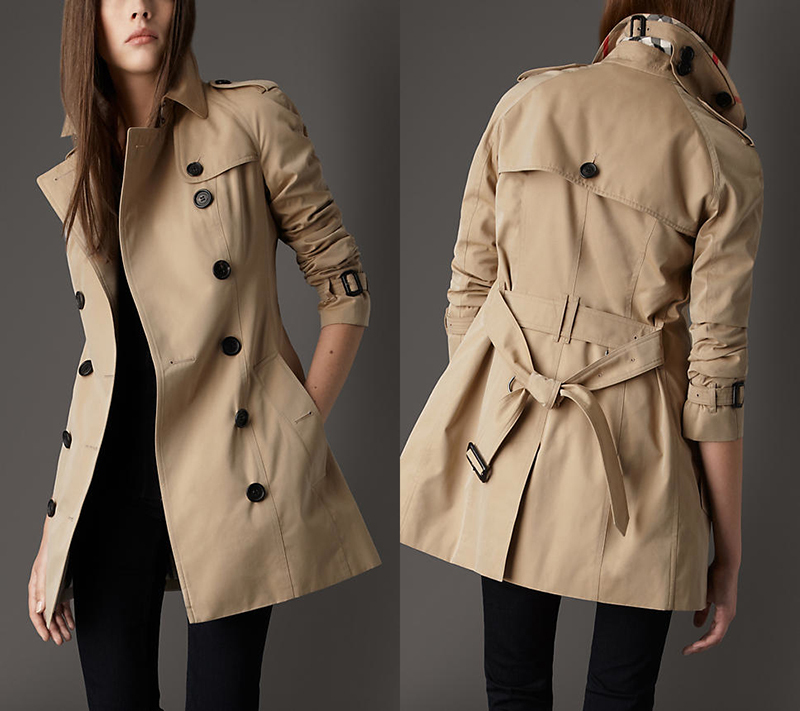 Finally, some photos of the coat, sans Froo. Cutest coat. Ever. Made cuter by Froo.